On Sun., Sept 9th, the Gillette party went out with the Milky Way for a day of fishing for the big fish. A beautiful day out on the lake resulted in the catching of 6 Salmon along with 1 Lake Trout. This party which consisted of Steve, Deb & Luther Gillette, along with Ben Pate had a good time out on the water, not only fishing, but also with spending some good quality family time together. It certainly was an enjoyable time on the Milky Way for everyone aboard! Number 13 Might Be Unlucky - But Not When It Comes to Kings! Needless to say, it was a great day for catching Kings on Sun., Sept. 2nd, with Milky Way Fishing Charters for the Will Vanhattan party. Another Successful Day of Catching Kings! 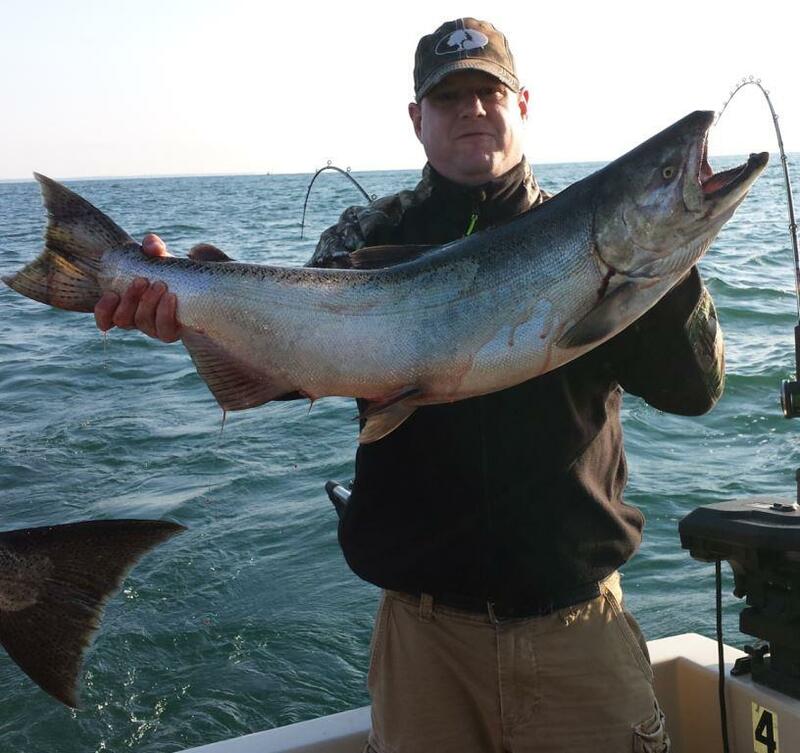 Nigel, Pete, Jimmy & Dave are another crew of long time fishing clients and friends that book with Milky Way Fishing Charters each year targeting Kings.